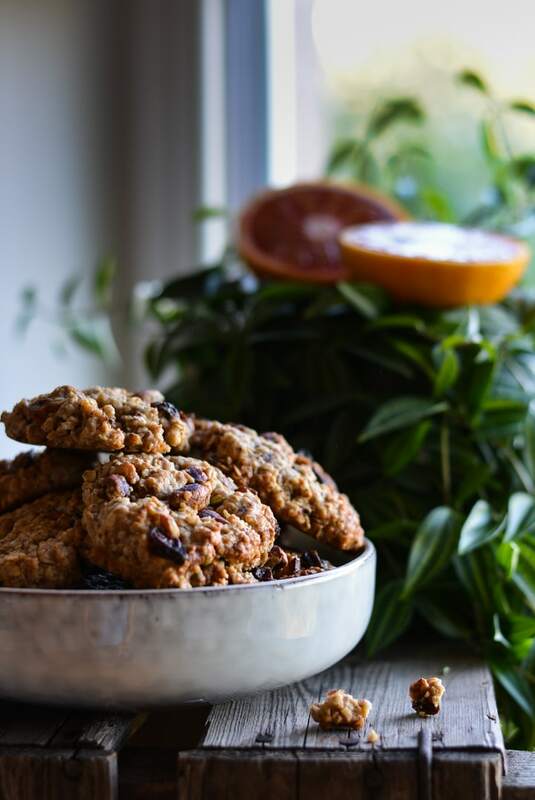 Pistachio Orange Cookies – all my loveliest ingredients in one Cookie! There are not that many ingredients I love more than vanilla. But one are pistachios. I love pistachios since I was a little child. I eat pistachio ice cream 7 times a week (ok maybe 3 times ;o)) and there are my best friend at school. Ate them often roasted and salted. In the meanwhile I don’t eat them salted because too much salt isn’t good for your body. So use less salt and more spices. I add a lot of nuts to my diet because nuts are one of the best source of good fats, high quality protein and vitamin-e (the vitamin for a good skin). Just a hand full of pistachios a day provides enough recommended levels of anti-oxidants, minerals, vitamins, and Protein. I learned this year to add orange zest in my cookies, cakes and muffins to have an amazing flavor. 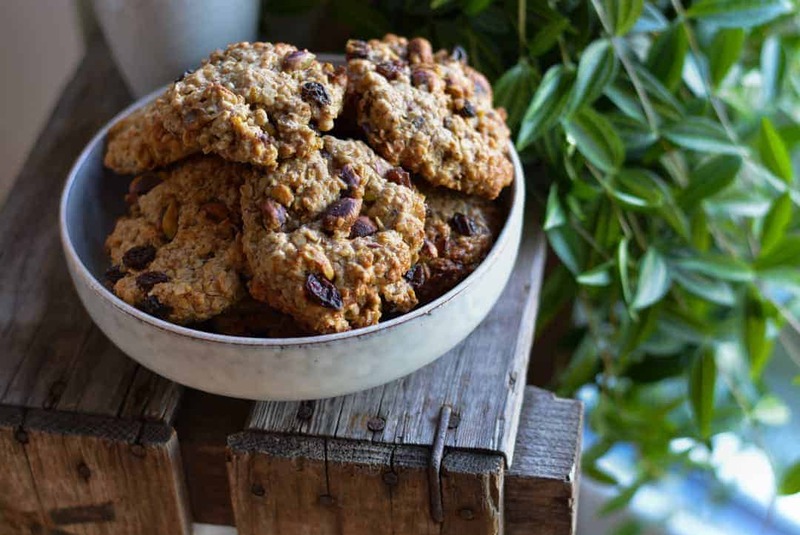 The combination pistachio and orange taste so good that I like to share this cookie recipe for these Pistachio Orange Cookies with you. This recipe is gluten-free and raffinated sugar free. Combine all the dry ingredients (except the pistachios and raisins) together in a bowl. In another bowl combine the wet ingredients and mix well if you use dates. 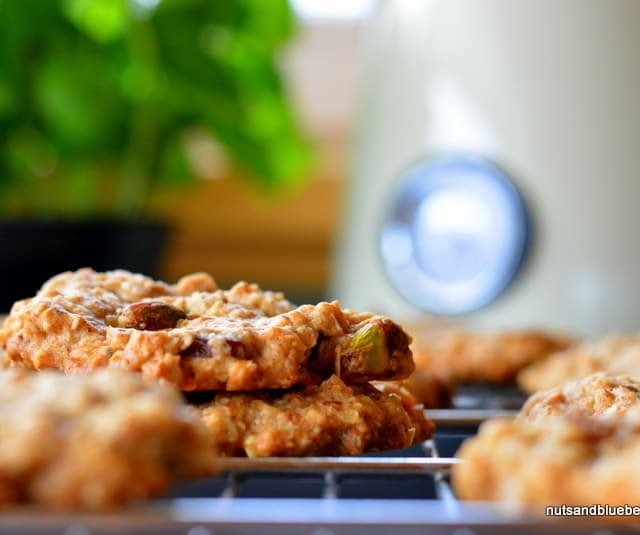 Mix both with the pistachios and raisins and set aside for 10 min. Preheat the oven to 175℃ and make 10 medium cookies. Bake for about 15 minute and let them cool down on a wire rack.